Explanation: Headed for two orbits of planet Earth and a splashdown in the Pacific, Orion blazed into the early morning sky on Friday at 7:05am ET. 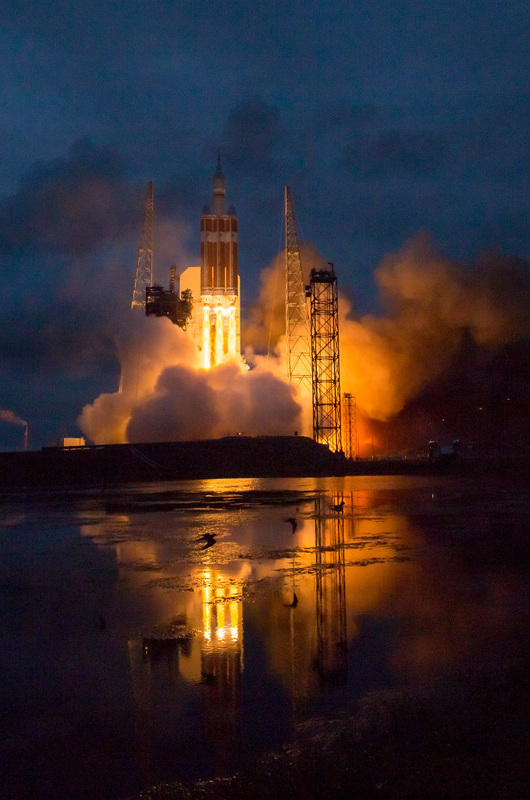 The spacecraft was launched atop a United Launch Aliance Delta IV Heavy rocket from Cape Canaveral Air Force Station in Florida. 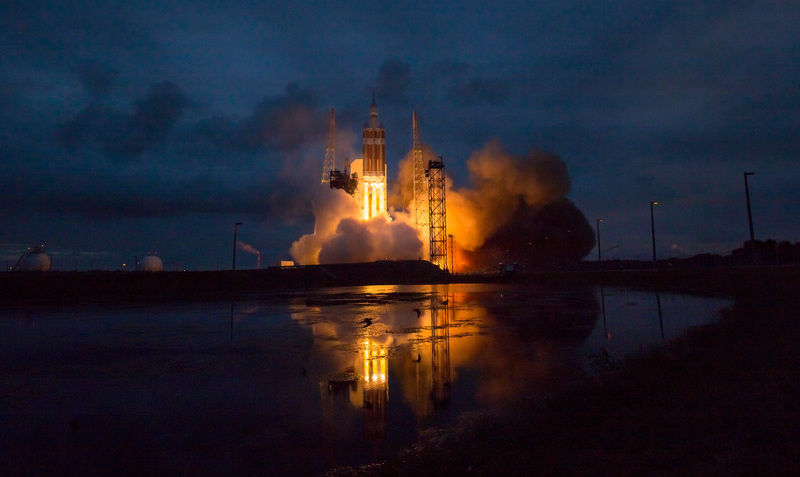 Its first voyage into space on an uncrewed flight test, the Orion traveled some 3,600 miles from Earth, about 15 times higher than the orbital altitude of the International Space Station. In fact, Orion traveled farther into space than any spacecraft designed for astronauts since the Apollo missions to the Moon. The Orion crew module reached speeds of 20,000 miles per hour and temperatures approaching 4,000 degrees Fahrenheit as it re-entered Earth's atmosphere about 4.5 hours after launch.